solid surface, granite, and quartz countertops. one-stop shop for all your countertop needs. All with factory direct prices! Exciting things are happening at The Countertop Factory! And we want to share the great news with you! Loyalty from customers like you has fueled our continued growth. To serve your countertop needs even better, we’re expanding our services with a full-on fabrication shop and installation facility in Las Vegas by the end of year. The Countertop Factory remains committed to providing excellent service and quality products that have made us the leading countertop manufacturer and installer in the industry. Because of our in-house manufacturing capability, we can offer commercial contractors the most competitive pricing in the industry. Three shifts allow us to manufacture your order on schedule. We offer 2-3 Day Lead Times, 1 Day Rush and Next Day Service are also available. Call for details. Hundreds of colors and patterns from Formica, Wilsonart, Nevamar and Pionite. Elegant. Beautiful. Less expensive and more durable than natural marble. Seamless. Non-porous. Ideal for retail, healthcare and specialized interiors. Valued for its beauty and durability. Manufactured using the highest quality fabrication. The ideal surface. Maintains its luster without sealing, polishing or reconditioning. Don’t leave your projects to chance. 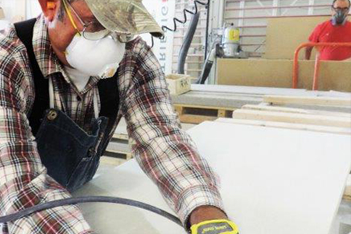 The Countertop Factory provides the highest level of workmanship for blank/slab and cut & finish countertops. 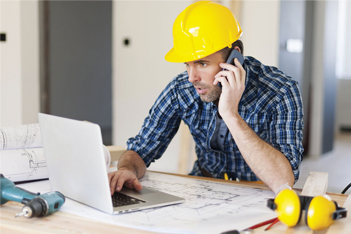 Since 2003, contractors and builders have depended on our Ready-to-Install reliability. The Countertop Factory is a Member of ISFA and Apartment Association of Orange County. We proudly meet or exceed LEEDS Green and AWI specifications. Royal Countertops Inc., a division of The Countertop Factory, is FPI's preferred countertop vendor and for good reason. Royal Countertops makes my job much easier. Their work is exceptional and they have very few comebacks. They are also very flexible. If I have a skip or a quick move in, they always put a rush on the order to get it done on time. They have saved me many times. When it comes to countertops, I recommend no one else. During my 20 years in the industry, they stand out as one of my most reliable vendors. I’ve had the privilege of working with Royal Countertops Inc., a division of The Countertop Factory, for the past few years on several renovations projects. Royal Countertops has always exceeded my expectations from the design phase, scheduling and thru project completion. The installers do a great job, answer questions and work with me throughout the process. They are always timely, work steadily and finish ahead of schedule. I’ve been very pleased with my experiences and would highly recommend Royal Countertops to others. I’ve worked with Royal Countertops Inc., a division of The Countertop Factory, for many years now. These folks have been a consistent asset on many projects where we have partnered. Their pricing is competitive and their service, exemplary. On more than one occasion, Royal has stepped up and replaced countertop(s) due to a variety of issues beyond Royal’s control, the same day the problem was reported and request was made. They understand the team concept and do not live in the problem, but join in the solution. I want to thank you for the work you and your company, Royal Countertops Inc., provided at the Summit Rose Apartment rehab. It's not easy to replace an entire kitchen in one day, in an occupied unit, with four different trades. All parties have to be aligned with demolition, new cabinet installation, new countertop installation, and electrical and plumbing finish. The crews you provided were the most important cog in the process and you pulled it off perfectly. In addition, you fulfilled your promise of pricing and installation, which is one of the most sensitive aspects of success on a project of this type. When we interviewed Royal Countertops Inc. for one of our large residential towers in San Diego, we were impressed with what they “said they would do”. After completing this project, I am even more impressed with what they "actually did"! It is not often that a company meets what their sales pitch claims. In this case, Royal Countertops not only met those expectations, but greatly exceeded them. They were a true “partner” throughout the entire project. From pre-construction, shop drawings, fabrication and installation, the process was extremely smooth. Additionally, we had a few design changes that required a very quick turn around and Royal Countertops came through every time. I give Royal Countertops the highest possible recommendation and look forward to more projects with them in the future.